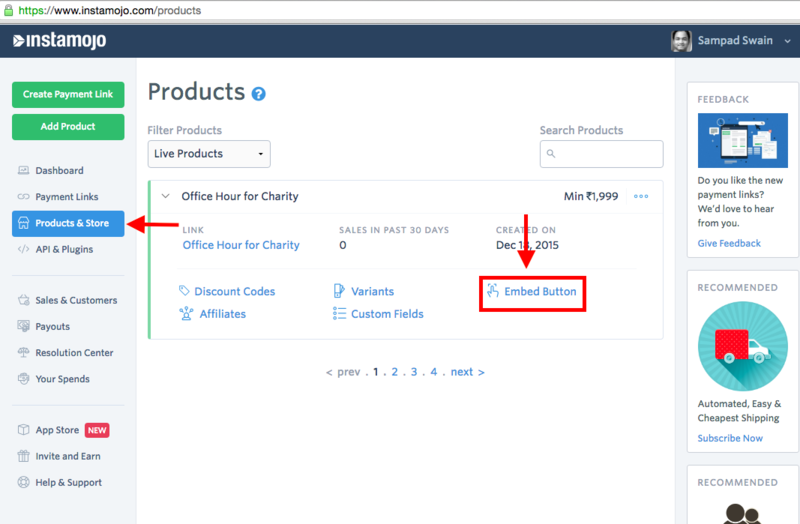 Once you have created Product link, find it in Products & Store tab. You will get an HTML code snippet which you can copy and paste in your website or blog. Remote Checkout: This allows you to load the Instamojo Product link on your website so the payment can take place there itself. 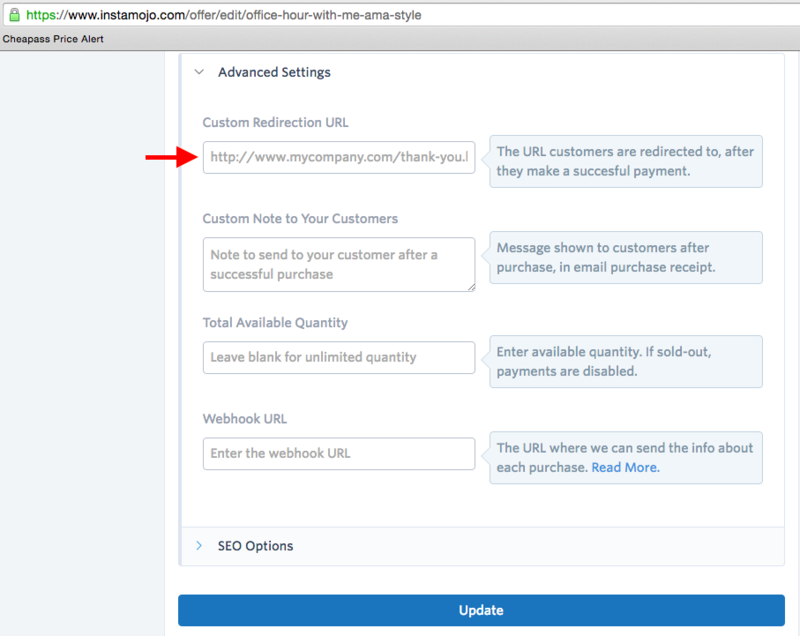 Redirect Link: This allows you to redirect or send the user to the Instamojo payment page so he can make the payment there. ** **You can see the live preview of the button as you customize it. 4) Every payment button will be accompanied by ‘Powered by Instamojo’ text. Can I do even more advanced customization on the payment button? 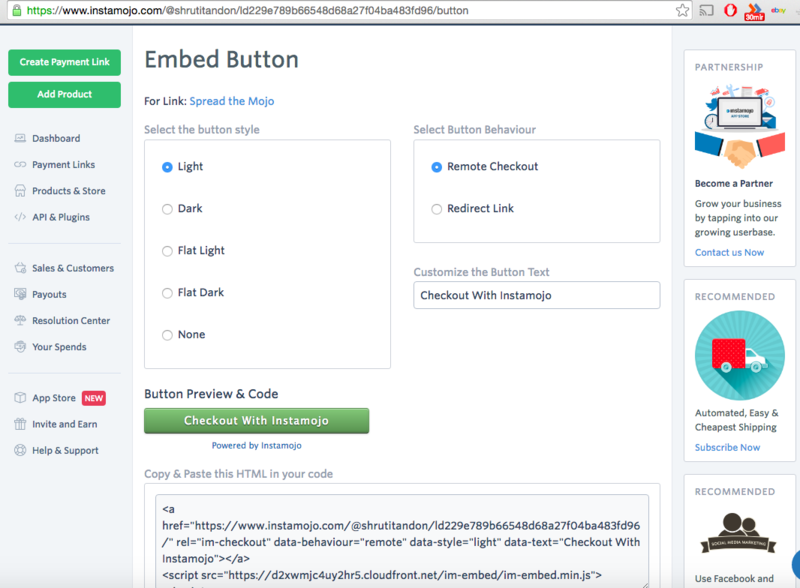 Yes, you can make the button completely your own - coupled with your page styling, and even remove the Instamojo logo. To remove the Instamojo logo, you can subscribe to the ‘Remove Button Branding’ app from Instamojo App Store. Generate a code for the payment button, choosing None as the Button Style. Use the CSS3 Button generator to generate a CSS for the button. Change the CSS class from ‘.btn’ to ‘.im-checkout-btn’. Please note that the CSS3 Buttons will not display properly on older browsers such as Internet Explorer and earlier. For something cross-browser compliant, do use CSS Image replacement. **Can I redirect back to my website if I use button? **Yes, you can redirect back to your website. You need to set the redirect URL in the product link. To redirect back to your website, open the product link and go to the advanced settings of the product. Here you can set the custom redirect URL.